Westport resident Michael Calise outside his real estate firm, Settlers & Traders, on Post Road West in Westport. WESTPORT — When Michael Calise was a boy growing up in Westport in the 1950s, the town was much smaller and small businesses prevailed. “Compo Shopping Center was an open field with livestock on it when I was a kid,” Calise, 78, said, adding small grocery stores dotted town, some of them in framed house-like structures. His father owned one of those grocery stores — Calise’s Market on Post Road East. Calise and his two sisters grew up above the shop, which is still in the family and owned by Calise’s son-in-law. None of the stores were chains or self-service like many of the establishments that populate Westport now, Calise said. Instead, customers would go to the counter, ask for what they wanted, and the product would be brought to them by a store employee, Calise said, noting there were a lot of home deliveries in the 1950s. Calise has deep roots in Westport. Calise’s maternal grandparents hailed from St. Michael’s outside Naples, Italy, and moved to Westport in the 1920s after living in neighboring towns. His paternal grandparents came to Westport a few decades later, in the 1940s, from the Italian island of Ischia by way of New York City. Following graduation from Staples High School, Calise spent time in the Marine Corps; he traveled a few times to the Caribbean, but was mostly based in the States. After the Marine Corps, Calise attended Norwalk Community College and Sacred Heart University with the intention of taking up law, but instead started working in real estate to support his family. 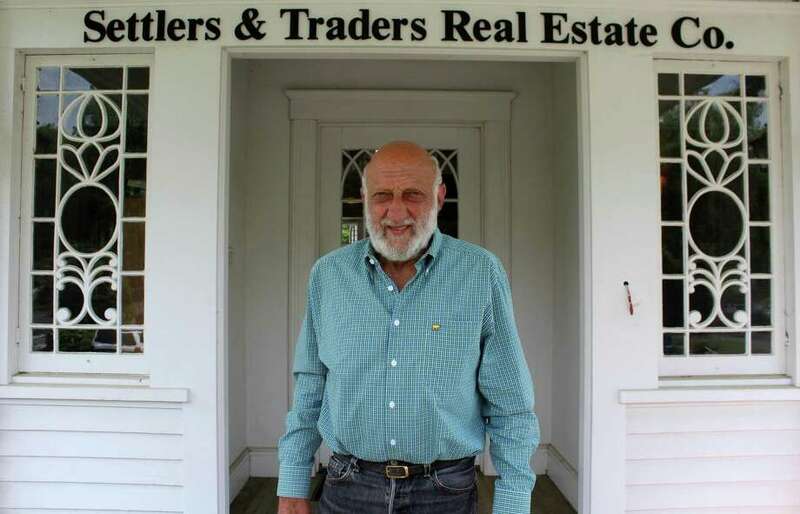 Calise founded his commercial and residential real estate business, Settlers & Traders, in 1967 out of a large home-turned-office on Post Road West built in 1914, close to Calise’s house on Sylvan Road. At one point, Settlers & Traders had seven office buildings on Route 7, but as the market turned more technological and Calise’s brokers preferred to work out of their homes, he closed the offices. However, the office on Post Road West remains open. “It’s rewarding because you deal with people all the time. You have constant contact and you’re assisting people and you’re finding things for them and you’re helping them formulate solutions for their own personal lives,” Calise said of his career in real estate. Calise continued the family line in Westport by raising five kids in town — four girls and a boy, who are all now in their 50s and still live in the area. Calise and his wife divorced young, but he has found companionship in his longtime girlfriend, Sally. Over the year, Calise has been a dedicated volunteer in several town government positions. He served four terms on the Representative Town Meeting and spent time as chairman of town’s Architectural Review Board that steers proposed commercial building applications on how to make their designs more in line with Westport architecture. “I like good building design. I like properties to be developed in a way that’s pleasing to the eye and function well,” Calise said. Calise said he stopped being involved in the mid-1990s, but he is still a member of the Republican Town Committee and often attends town board meetings, especially meetings of the Planning and Zoning Commission. “I have a passion for zoning and good zoning. I attend all the zoning meetings,” Calise said. A few years ago, Calise staged opposition to plans for a remodel for the parking and sidewalk designs at Compo Beach. He sits at most zoning meetings in the corner of the auditorium, watching carefully and providing public comment if he feels compelled. “I’ve always been someone to look beyond the four walls around me. I like to be involved. I like to be in contact with people around me and know what everybody’s up to. After all, what is government? Government is just a community of people, and I felt motivated to participate and get involved. It’s been rewarding,” Calise said. These days, when he’s not working Calise can often be found at the beach in his car, a CJ7 Jeep, which he bought new in 1983 and has the license plate, “Compo.” Each Memorial Day, Calise decorates the car with American flags and doesn’t take them off until after July 4. Calise says he is a patriotic person. “We have a great country. We are concerned about people’s freedoms, their right to live as they please and practice the religion they want to practice; to have complete freedom of speech and stand for what they want to stand for without fear of reprisal. Nowhere else in the world, at least to my knowledge, does that exist. It’s a really free and open society and I think it’s wonderful,” Calise said.